The hostel is located 12 kilometers east Sainte- Anne-des-Monts. The entrance is located directly on Highway 132, a big sign clearly indicates the entrance. 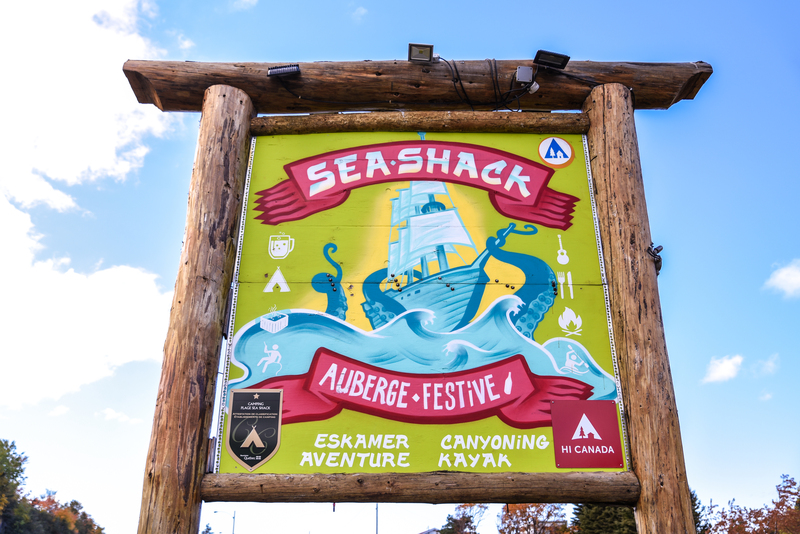 It will take you 8 hours from Montreal and 5 hours from Quebec to get to the Sea Shack. Use the special shuttle bus (REGIM) to join the Sea Shack. To book this shuttle, you have to call at 1-877-521-0841 24 hours in advance of your arrival or departure. Here’s the link for more information: Navette Sea Shack. The Sea Shack encourages carpooling. You can view the Facebook group called “Covoiturage Gaspésie” to help you find friends to travel with.